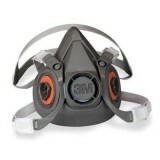 We also deal with all kinds of Safety Products and we are leading suppliers of PPE Personal Protection Equipment Safety Products Uniforms, workwear, Protective clothing, Gas detectors, Helmets, glasses, gloves, face masks, particulate respirators, shoes, boots, coverall, jackets, trousers, goggles, safety glasses, spectacles ear-muffs, and safety clothing-Fire retardant coveralls in Dubai, Iraq, Saudi, Kuwait, Qatar UAE Middle East, CIS Russia & Africa. We have extensive international market experience with Clients mainly in Asia (Saudi Arabia, Bahrain, Kuwait, Oman, Qatar, Jordan, Iraq, Afghanistan), East Africa (Tanzania, Kenya, Uganda, Djibouti), West Africa (Nigeria, Ghana, Algeria, Mauritania) & CIS (Russia, Ukraine, Azerbaijan, Kazakhstan, Turkmenistan, Georgia, Armenia). Personal protective equipment (PPE) refers to protective clothing, helmets, goggles, or other garments or equipment designed to protect the wearer’s body from injury or infection. The hazards addressed by protective equipment include physical, electrical, heat, chemicals, biohazards, and airborne particulate matter. Protective equipment may be worn for job-related occupational safety and health purposes, as well as for sports and other recreational activities. “Protective clothing” is applied to traditional categories of clothing, and “protective gear” applies to items such as pads, guards, shields, or masks, and others.